Bored with your apps, looking for something new? Check out these 20 apps that were just released. 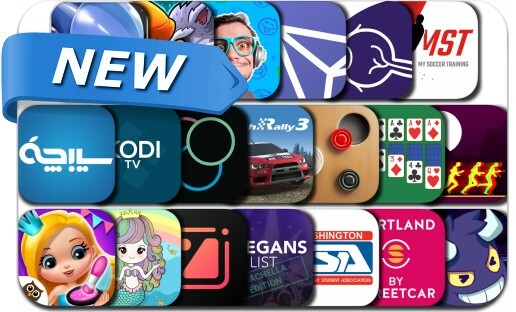 Today’s batch of new apps includes Glitch Run, Rush Rally 3, Disc Pool Carrom, Solitaire, Tamers Cyberworld, Live Wallpaper Box+, JokeFaces, TronLink, Esion, My Soccer Training and many others.